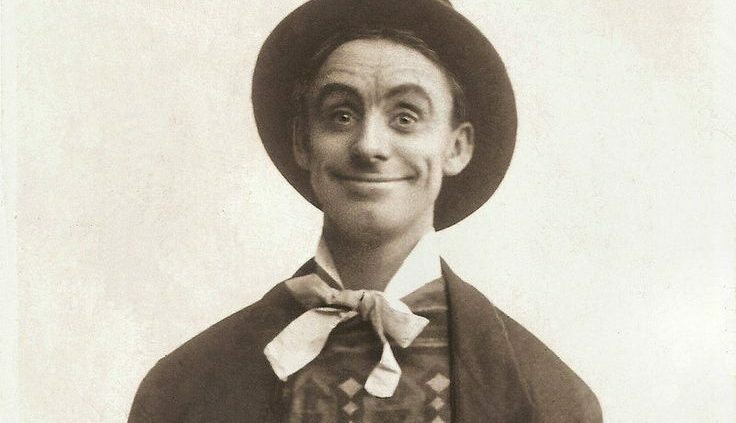 David Slattery-Christy | Dan Leno – A Royal Jester! 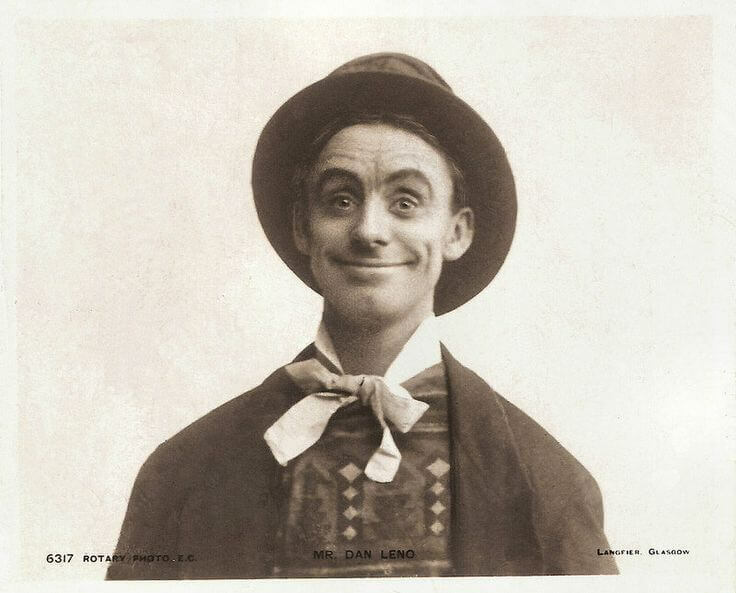 Dan Leno – A Royal Jester! Delighted to announce that this play will receive its world premiere at this year’s Lytham Festival. 18 – 22 July 2018 at the Wesley Hall Theatre, Westby Street Lytham. More Details and Casting Coming Soon. You will be in for a Royle Treat! Delighted to say I am working on a new play based on the life and career of the legendary Victorian music-hall and Drury Lane pantomime star Dan Leno. It is something that has been in my mind for more than 25 years now. 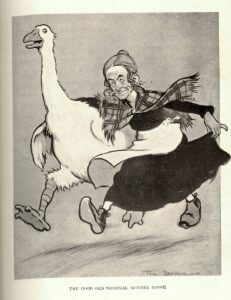 Even before that I had read much about, and become facinated by, the legend that was Dan Leno. During the mid 1990’s I was lucky to have been given access to the private archive at the Theatre Royal, Drury Lane, to research material to do with Novello. One afternoon whilst there I was working away and on the far side of the room I heard the sound of papers falling from a shelf. Crossing the room I remember seeing the smiling face of Dan Leno staring back at me from an old publicity photograph. On further inspection I realised that the papers that had fallen were a part of piles of old contracts and programnmes and photographs of Dan Leno’s time at Drury Lane from 1888 to 1903 – when he appeared in the annual pantomimes and created some great and unique dame roles. That experience has stayed with me all these years and actually brings a chill to my bones when I think of it now. How odd that those particular papers should of their own accord slip off the shelf and draw my attention? That said, it is common knowledge at Drury Lane that Dan makes himself known at times either back stage in the dressing room areas or in the wings on first nights – especially when he wants to help someone. They say that if you see him in the wings on a first night it means the show will be a hit. 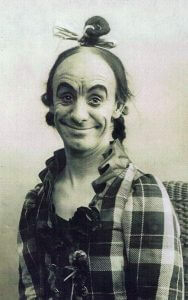 The picture I have attached to this article is the image of Dan Leno that smiled back at me that day – it shows him as Sister Anne in the pantomime Bluebeard at Drury Lane 1901. From then on I have thought I must write a play. Recently I saw a pantomime and finally saw a performer who could play Dan Leno and bring all his facial, physical and comedic talents and give us a glimpse again of the greatness that was Dan Leno. It was like the final piece of a jigsaw for me – one that has enabled me to now set about the task of writing the play.